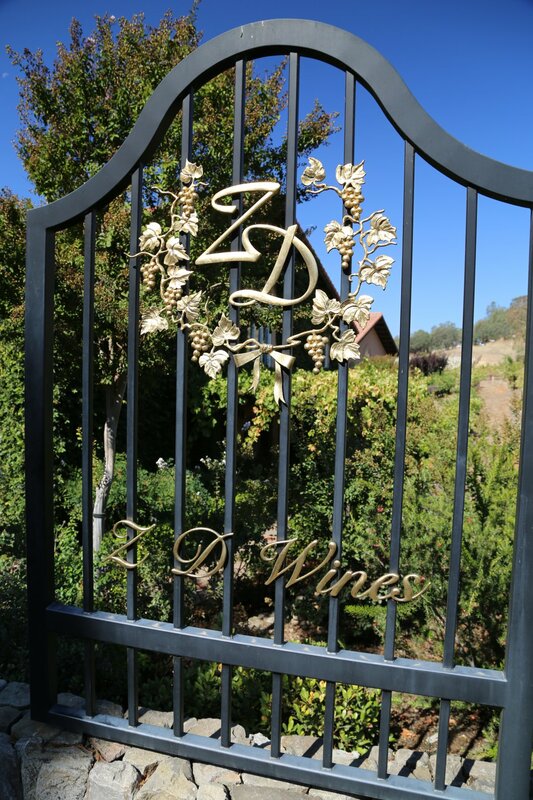 ZD Wines was founded in 1969 by two engineers, Norman deLeuze and Gino Zeppponi. 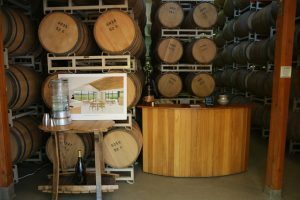 The winery is still family owned and operated with co-founder Norm deLeuze’s and his wife Rosa Lee’s children and grandchildren now involved. 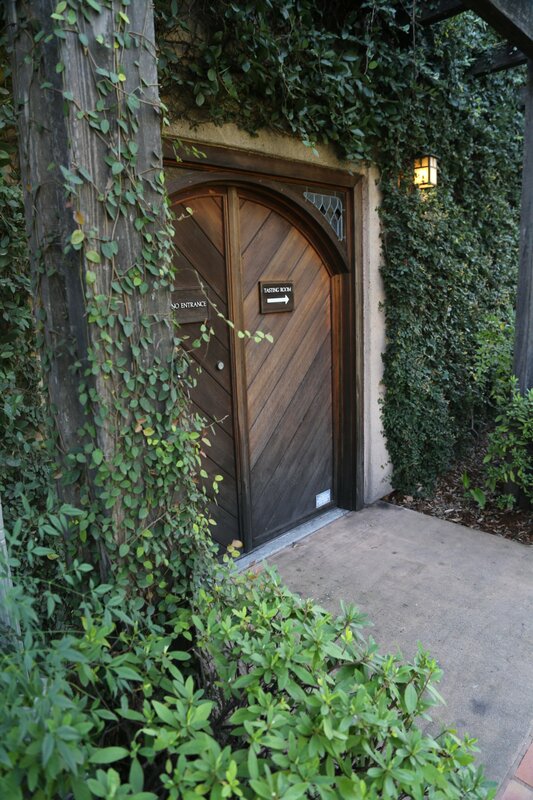 Norm died in 2007 and Rosa Lee (who we met briefly died in 2018). 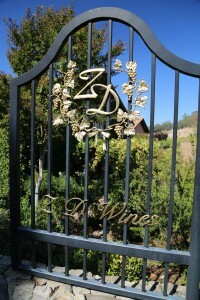 Z and the D are found in the family’s last name but perhaps more meaningful is the reference to the term “Zero Defects” – used in engineering – and meaning without flaws. 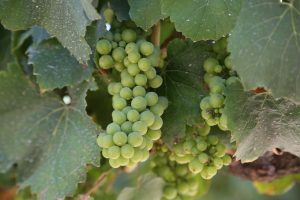 Norm deLeuze (died in 2007) was an aeronautical engineer when he first started experimenting with commercial wine making in 1969. 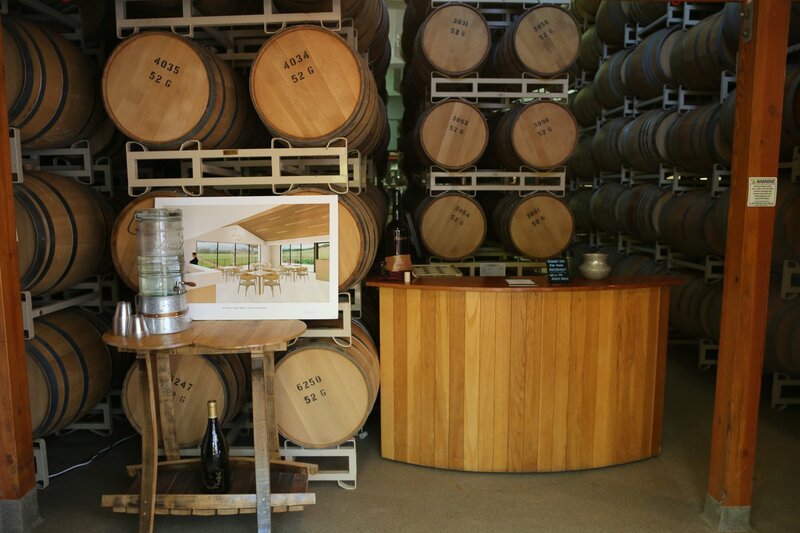 ZD actually received their first wine permit in Sonoma County (not many Napa County wineries can say this). 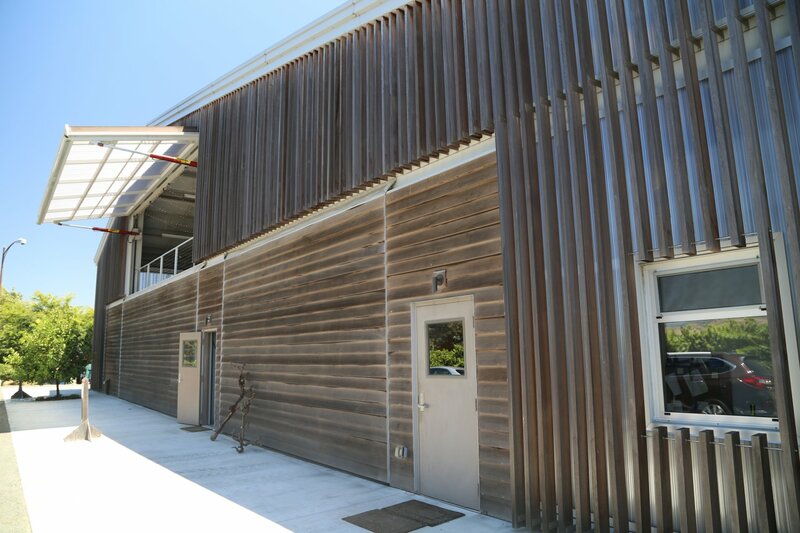 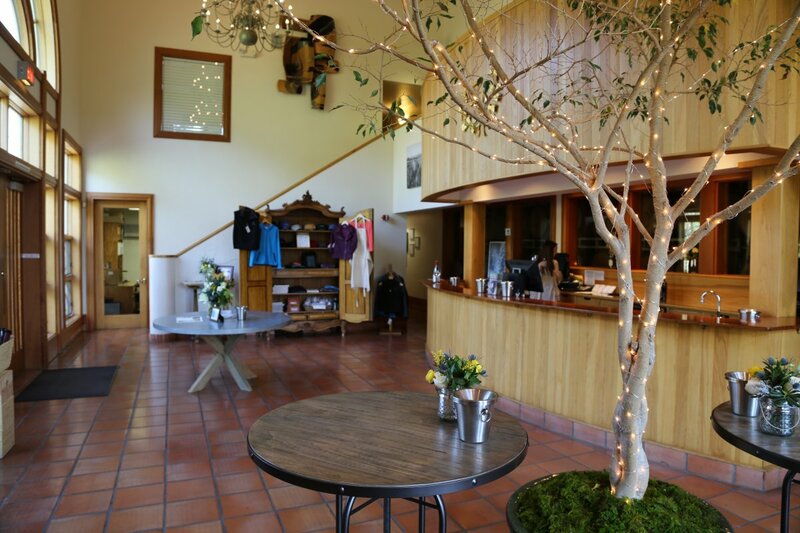 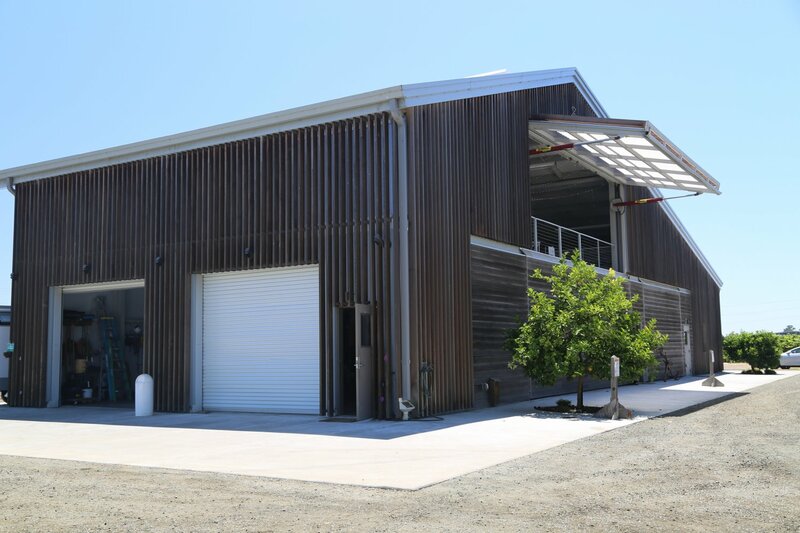 They rented farm buildings in the Carneros region of Sonoma County and they made their first vintages here. 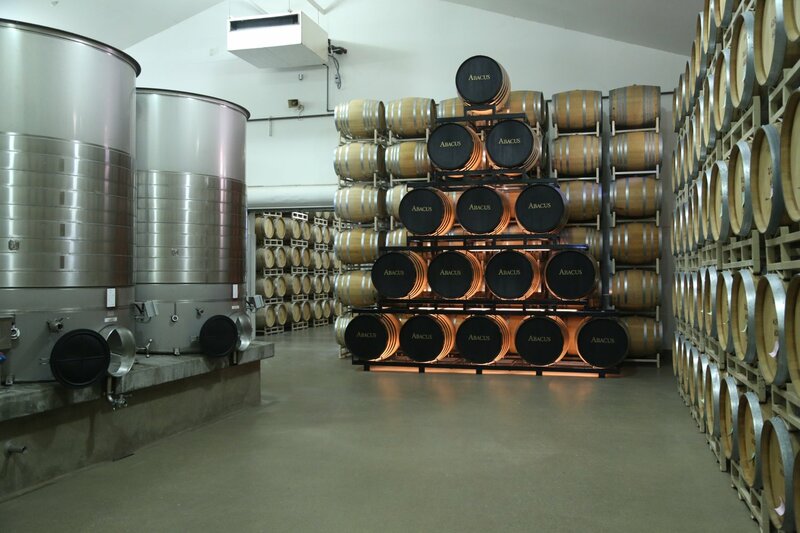 The family opened their current winery in 1980; it has since undergone major renovation and is now a world class winery facility. 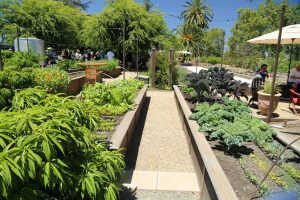 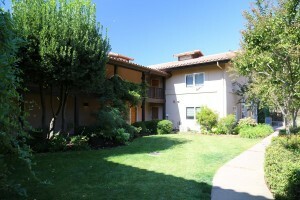 The inner courtyard area of the building slightly resembles Mission San Francisco Solano in the town of Sonoma in neighboring Sonoma County. 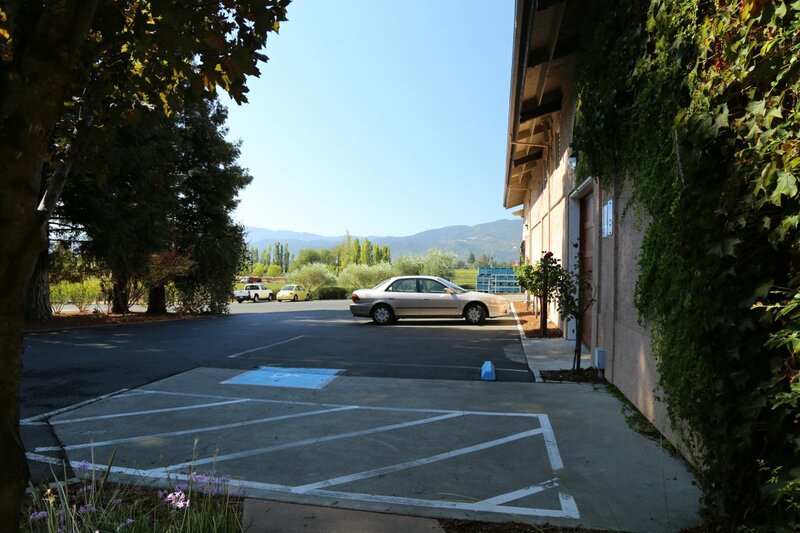 The winery sign features raised gold lettering fastened to a large rock next to the short steep driveway leading down to the parking lot. 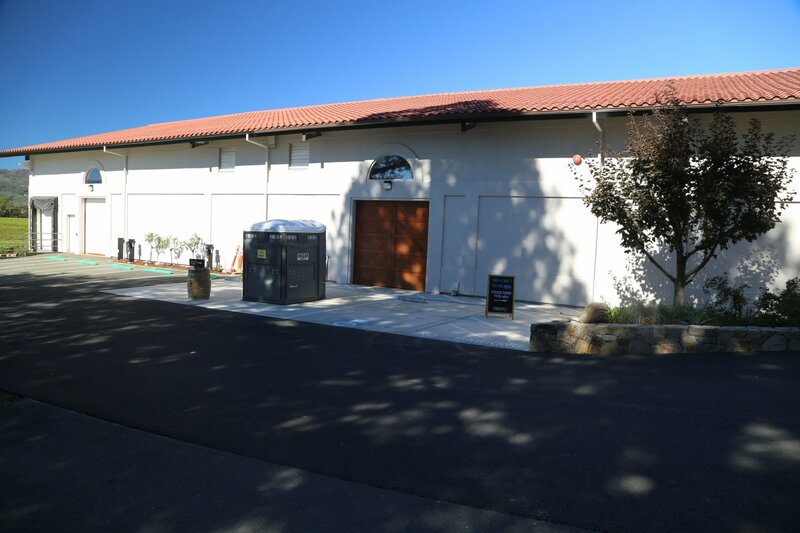 The winery is located along the Silverado Trail in the Rutherford appellation – only about a 10 minute drive from the town of St. Helena. 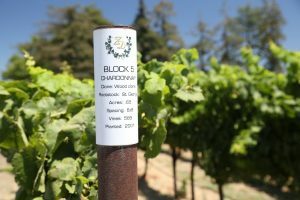 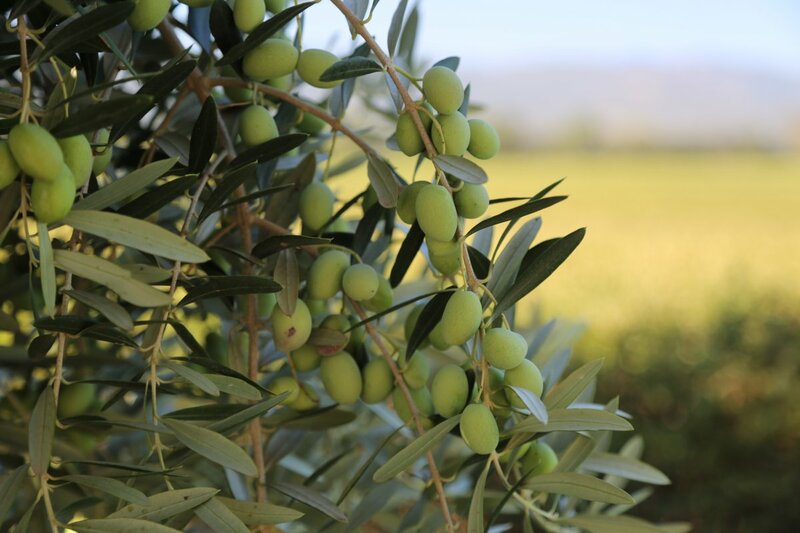 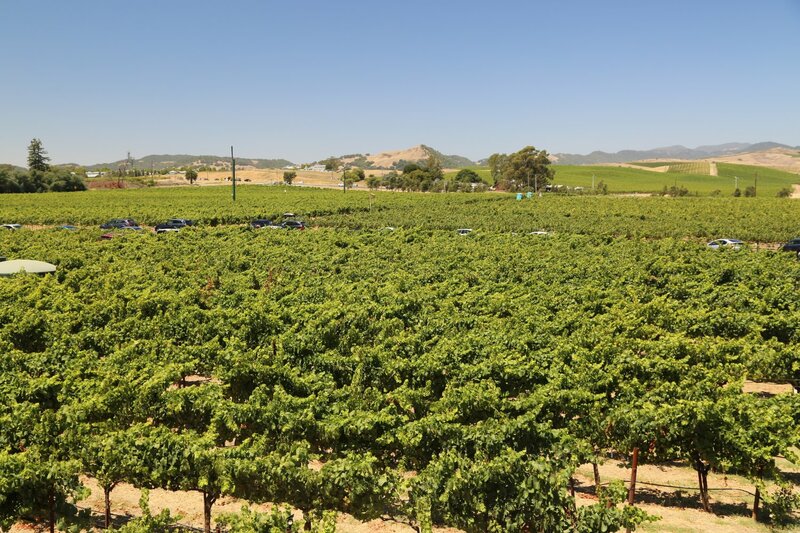 Their grapes are sourced from numerous locations within the Napa Valley including their two estate properties, where the winery and hospitality center are located in Rutherford and also in Carneros. 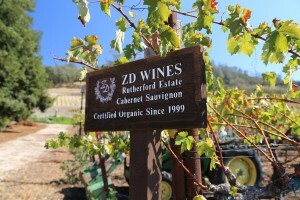 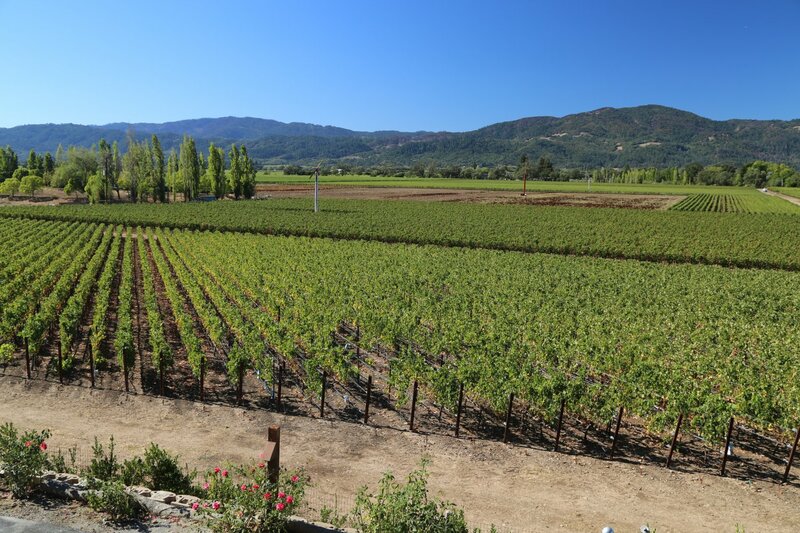 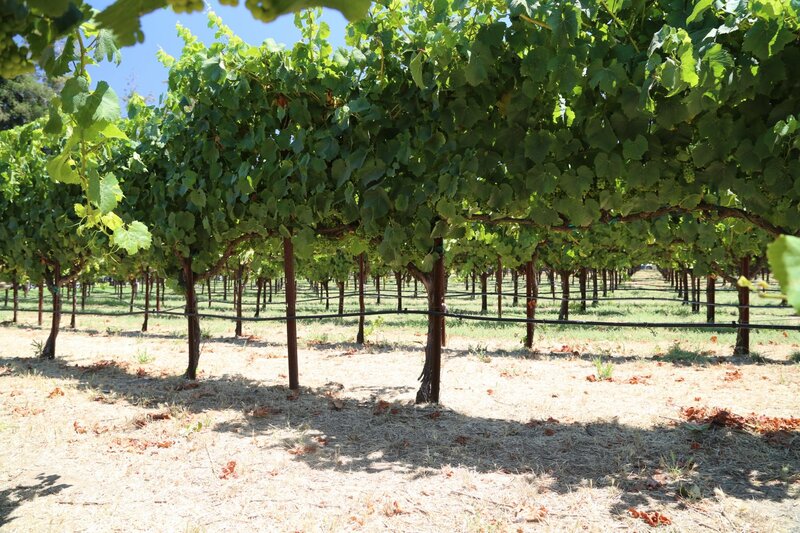 Their Rutherford estate is planted to only 3.2 acres of vines (all certified and farmed organically); the grapes from these vines form the majority of their ZD Reserve Cabernet Sauvignon. 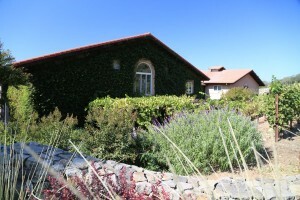 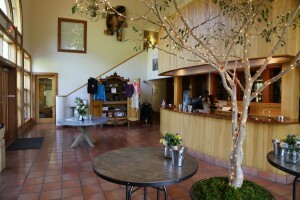 Their Carneros property is planted to 23 acres of Chardonnay and 6 acres of Pinot Noir. 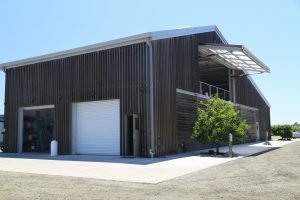 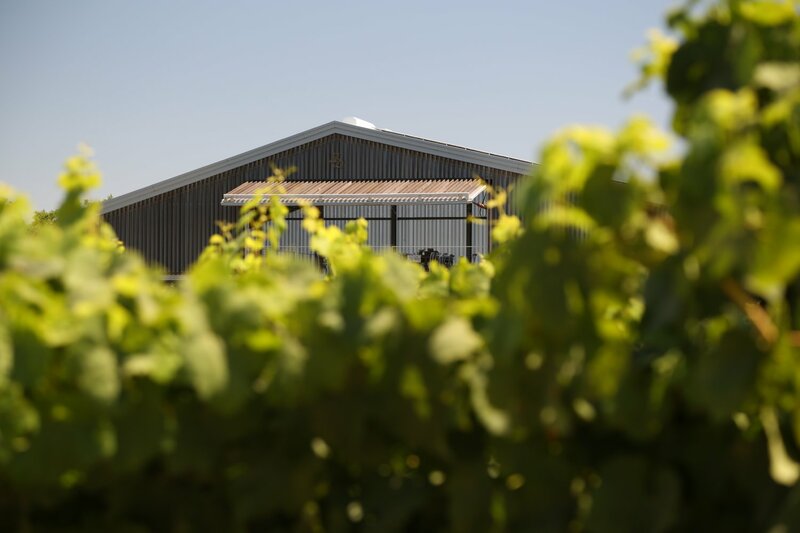 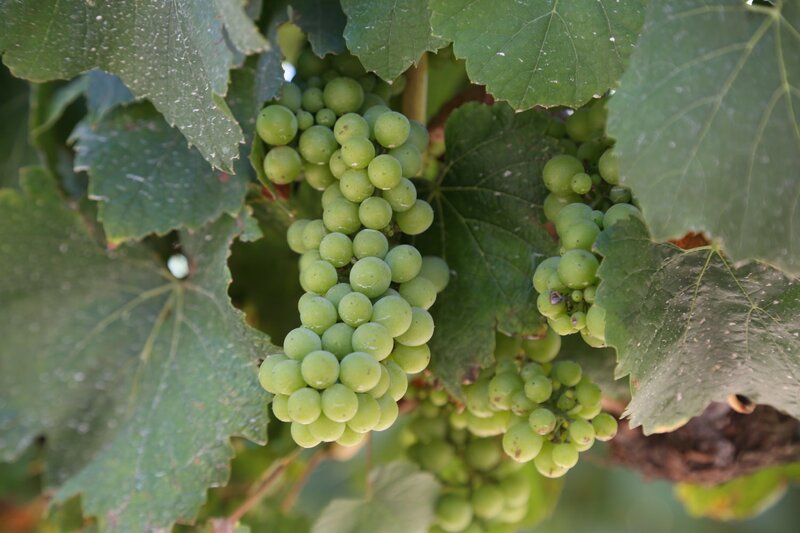 The deLeuzes have owned their Carneros property since 1996, however they were sourcing fruit for a Chardonnay from Carneros for 9 years prior to acquiring the vineyard. 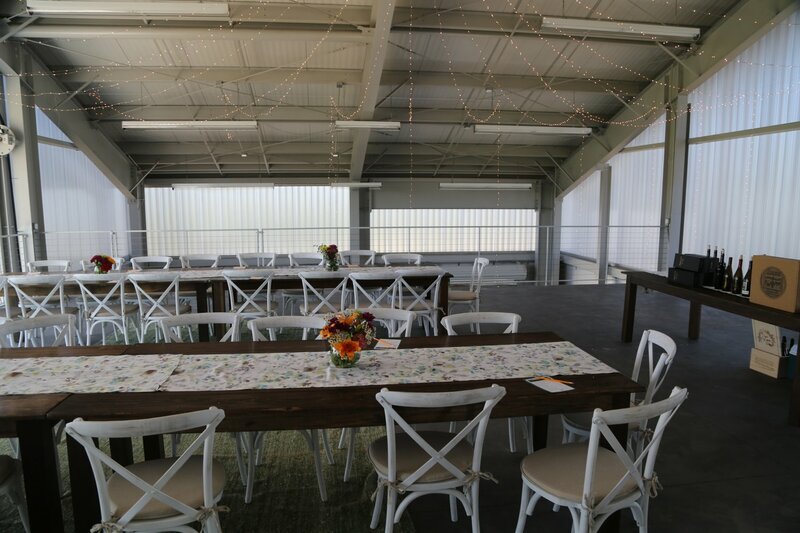 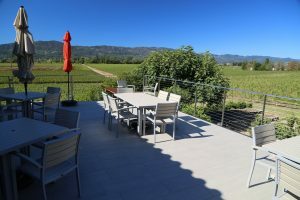 While not open to the public, their Carneros property features a modern “barn” housing various farming equipment and a historic house that dates from 1897 (great views overlooking the gentle rolling Carneros vineyards from both the house and the barn). 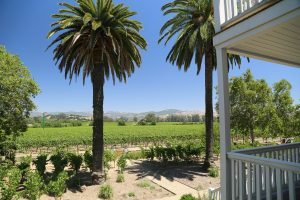 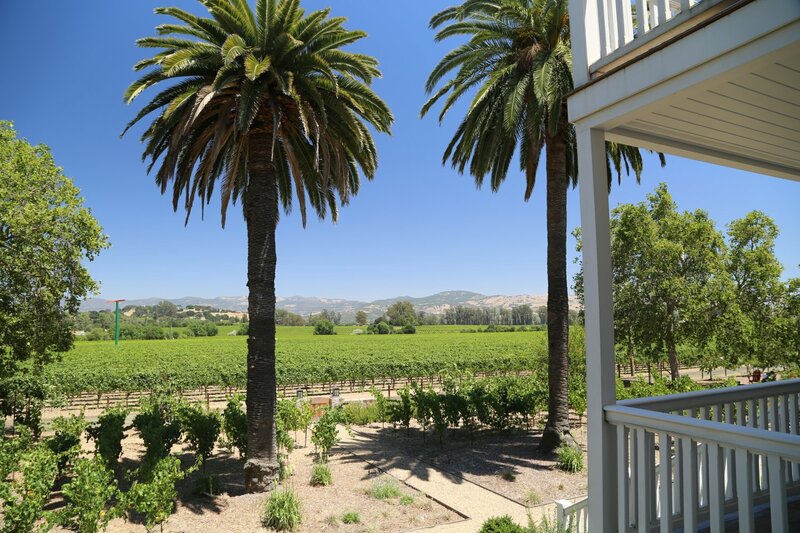 Once a year the property is open for a few hours for their annual Napa Valley Summer Wine Celebration, a food and wine charity event benefiting the Boys & Girls Clubs of Napa Valley’s Teen Center. 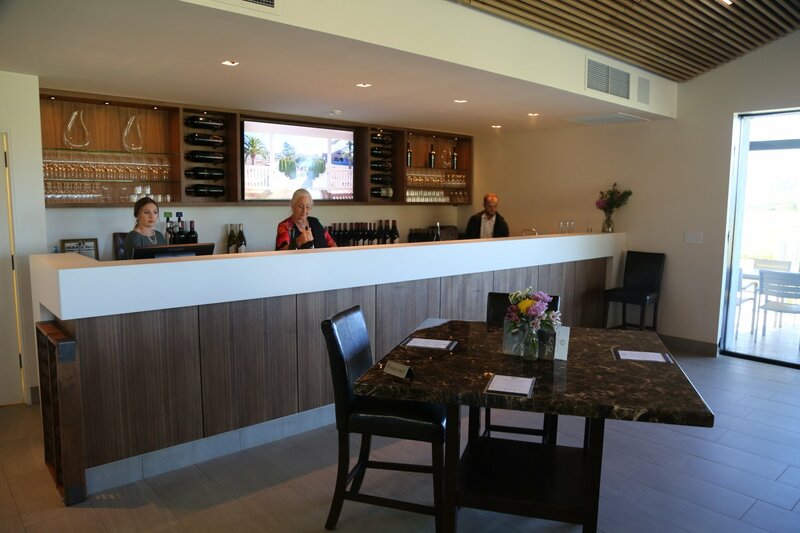 Visitors to their Rutherford hospitality center can choose from two tasting flights at their large semi-circular counter, a Traditional or a Premier tasting. We’ve been here several times during the weekdays; it is always nice to find the counter empty as compared to many weekends sometimes boisterous wine drinkers line the bar. 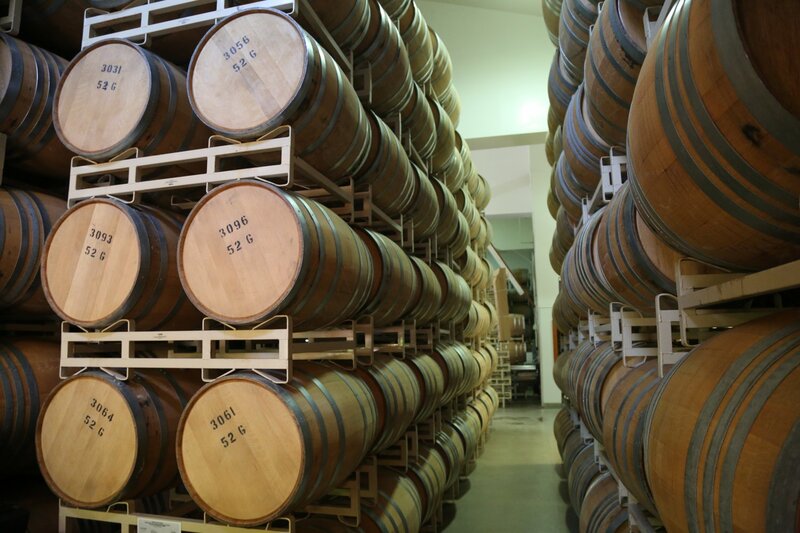 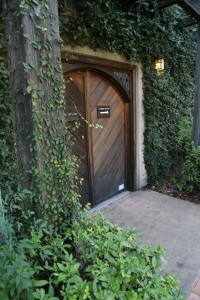 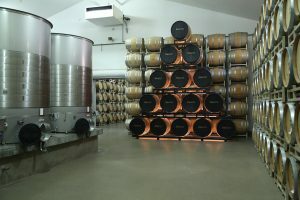 The focus of their winemaking is on Chardonnay, Pinot Noir and Cabernet Sauvignon. 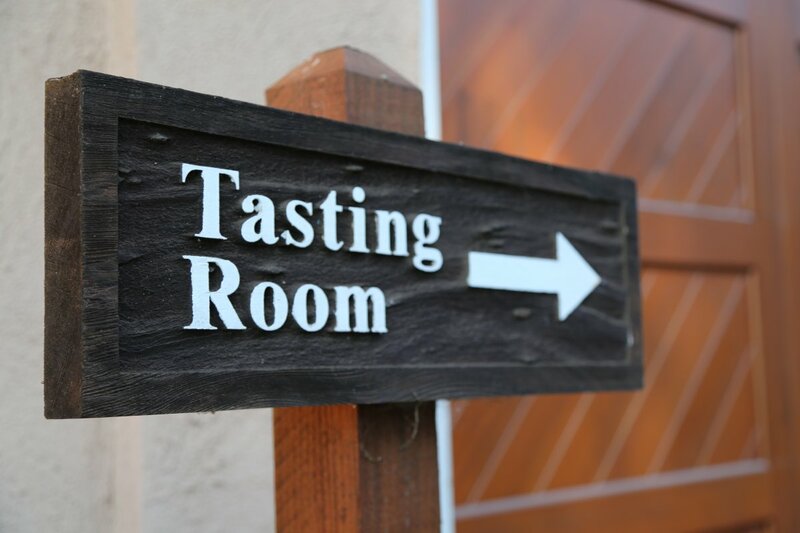 During one of our recent tastings we tried several of their library limited production wines – usually produced in quantities of less than 2000 cases. The 2005 ZD Wines Reserve Chardonnay did not undergo malolactic Fermentation and has a nice balance between fruit flavors and acidity. 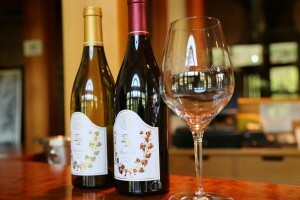 It is slightly creamy with a beautiful golden color in the glass. 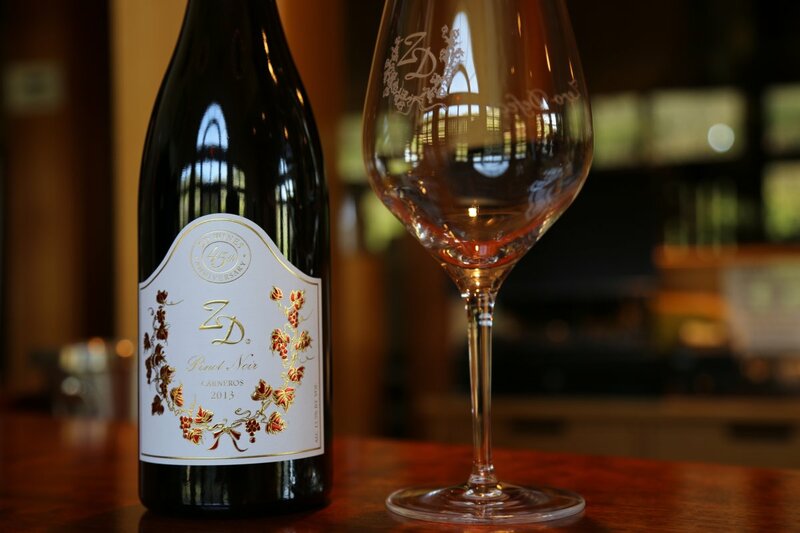 The 2006 ZD Wines Reserve Pinot Noir is a rich wine with soft tannins featuring a complexity of flavors that makes for a long interesting finish. 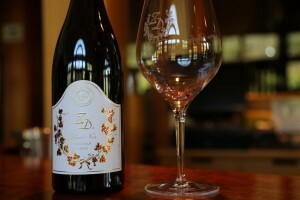 ZD wines have been served at several Presidential State dinners. 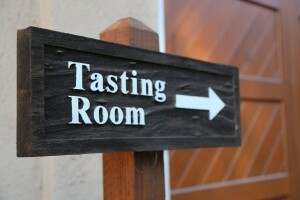 Also worth nothing is their Saturday Cheese Pairing seminar (by app only). 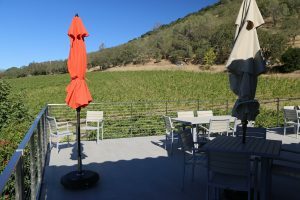 While ZD Winery used to offer tastings at the bar, currently all their tastings are now seated (either by walk-in or by reservation). 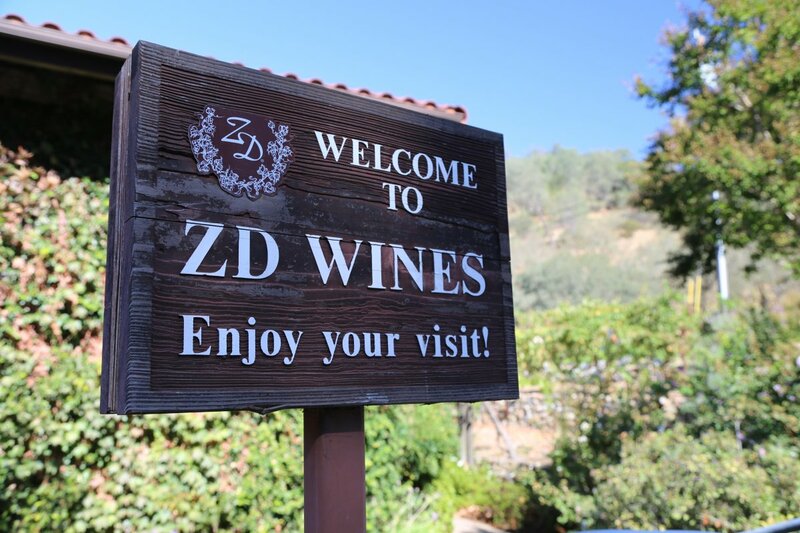 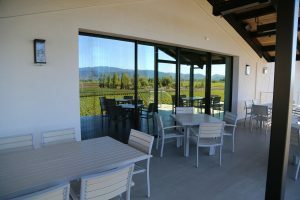 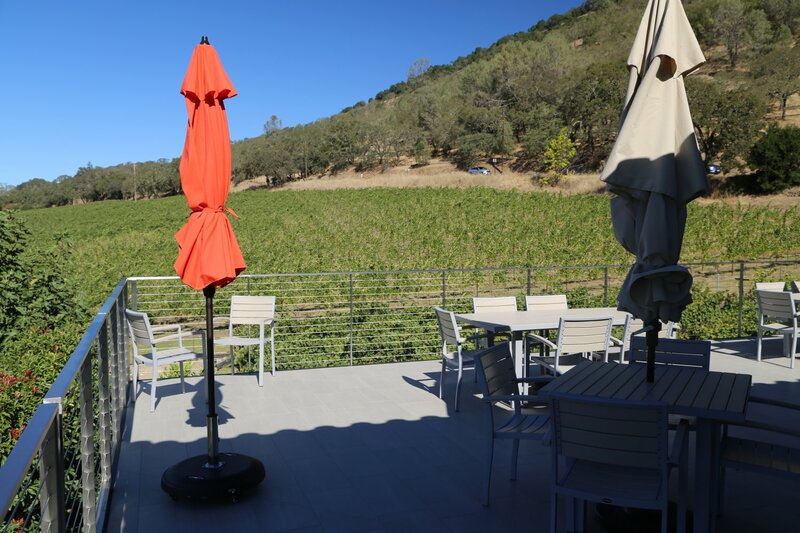 ZD Wines offers a surprising number of tastings and tour experiences apart from their UnWined tasting (a seated tasting held in their Vineyard View Room & Deck, with excellent views of the vineyards to the west either inside or outside on the deck). 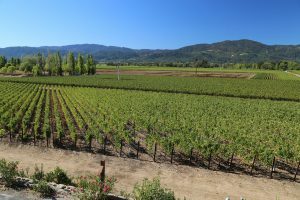 For a more in depth look at their vineyard management practices consider either their Eco-Tour and Tasting or a Vineyard Tour & Tasting. 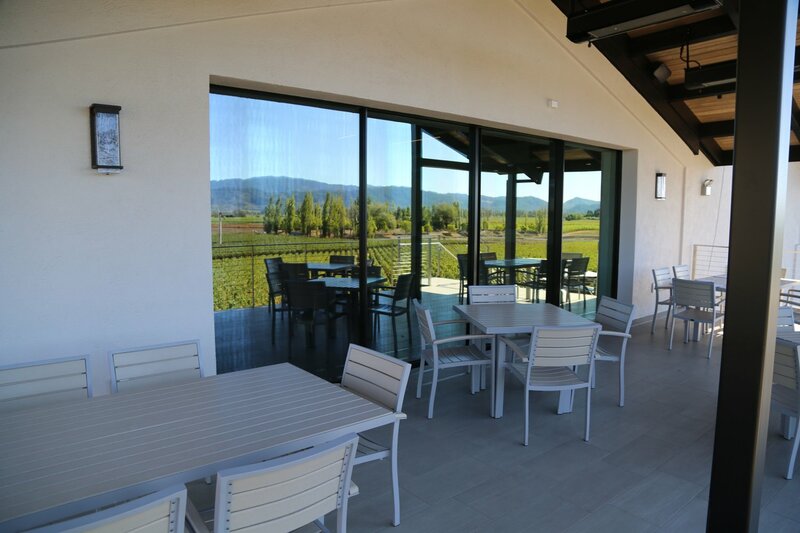 Other experiences include library wine tastings, a private cellar tour and tasting and their ultimate tasting – the Abacus (their flagship Cabernet Sauvignon). 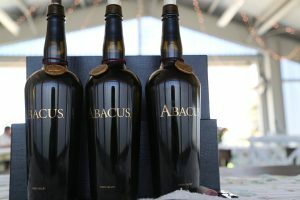 The Abacus is one of the most unique Cabernet Sauvignon wines in all of the Napa Valley where multi -intage wines are extremely rare.The Abacus represents a multi vintage wine dating back to 1992. The first release was in 1999 – subsequent releases always increase by one year. Wines from each vintage that are not bottled remain in barrel. 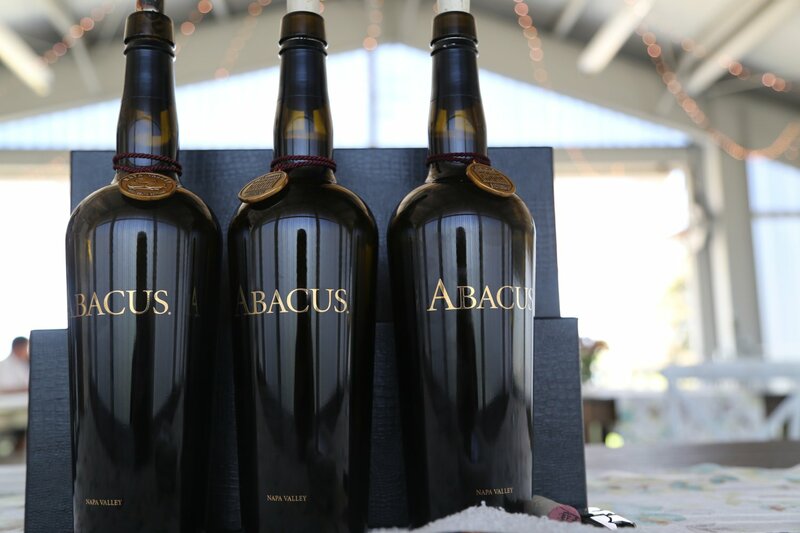 And in 2017 the winery created the Abacus Presentation – a pyramid of all their Abacus wines in barrel (American oak puncheon, back-lit by lights with the barrels resting on custom made metal racks). 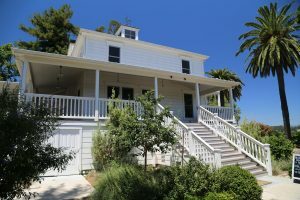 Note: This review has been identified as needing a *MAJOR* update. 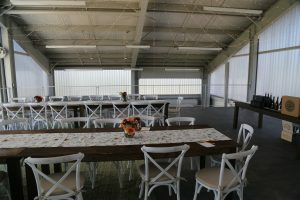 As of late 2018, the winery is in the midst of renovating part of the hospitality center/reception area. We will revisit (most likely in Spring 2019) and do a much much needed update to this review once all the construction is completed including a commercial kitchen).